Polyurethane, Steel reinforced, extruded open length & joined, classic imperial pitch with trapezoidal tooth form. 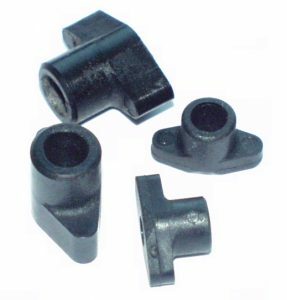 Screw connection with black polyamide inset part. BRECO provides plastic, brass and VA steel inset parts and the respective screw types to fasten the profiles on the timing belts. 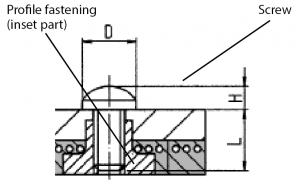 EJOT Delta PT® screw made of tempering steel according to EJOT® WN 5461 part 2, with mushroom head and cross recess Z according to EJOT® WN 5411. 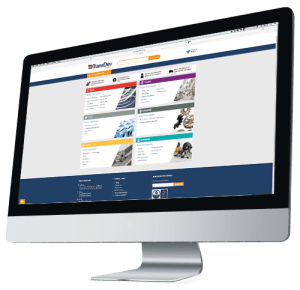 Note: For a high reliability of the screwed connection, BRECO recommends the exclusive application of original EJOT Delta PT® screws according to the above mentioned specification. 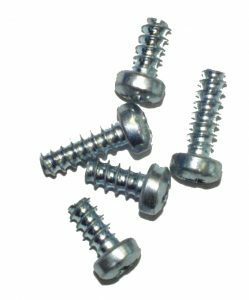 These screw types were especially designed for thermoplastic components and provide the required safety and reliability during mounting and use, both under static and dynamic load. All screws have a head with Z cross recess in size 2. Attention: The Delta PT® screws have no metrical ISO coarse-pitch thread according to DIN 13, thus, they are only suitable for plastic inset parts.